Is It Time For Your Child’s Vision Exam? Did you know? Kids should have a complete vision exam by an optometrist or ophthalmologist every 2 years. Please do not rely solely on your child’s school vision screening because A National Institutes of Health study found that school screenings miss more than 50% of vision problems, yikes! Also, were you aware that some kids are actually misdiagnosed as having learning disabilities like ADHD when in fact, they’re really just having trouble with their vision, yikes again! For your child’s first vision exam the optometrist or ophthalmologist will be evaluating the following: excessive or unequal amounts of nearsightedness, farsightedness, or astigmatism, eye movement ability, eye health problems. So don’t wait any longer. Visit www.aoa.org or call your pediatrician for a referral to outstanding optometrist or ophthalmologist. We love to give recognition to our new friends. Here are the new patients that became members of our practice family this past September. We’d like to welcome you publicly & wish you all the best. Mateo Alferez, Eidref Armas, Reese Calcote, Saiyah Carias, Katherine Coats, Giuliana Cuevas, Christopher D’Attaray, Jewel Densmore, Isis Dumas, Sydney Fischer, Kate & Page Flanigan, Jedric Galang, Samuel Gimbut, Angelina Hilt, Vincent Ibarra-Barrios, Marcus Kubis, Kate & Raquel Martin, Nicole McCance, Michael McCarty, Madelyn R. Metzger, Jacob Nordorf, Grace Pacheco, Miguel Pallanes, Joey Ragusa, Isaac Schrock, Averie Seargeant, Myles Sells, Lionel Shelton, Aidan J. Smouse, Bailey Takakawa, Christopher Tanquary, Nicolas Vrolijk, Azariah & Takari Wright. Dr. Stella loves this product because it delivers results that you and your dentist will notice. Research findings have shown 34% less gingival bleeding versus a regular manual toothbrush. No other brush performs like this one. The stand-alone SmartGuide has technology that helps guide you to better brushing behavior. 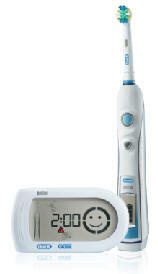 It comes with a timer that provides visual guidance and timing to promote proper brushing; 5 brushing modes deliver a customized brushing experience; and the pressure sensor alert brightly displays a warning when brushing too hard. All of this adds up to a difference in your brushing habits: Plus, an extra 3-minute mode on the SmartGuide encourages longer brushing for patients with persistent gingivitis. Most businesses have the month of October as the time to make changes to your dental plan that will become effective in January. Often, we find that people seem to think they know what they have signed up for, only to find out they wished they had chosen the other insurance for their orthodontic needs. Sometimes this mistake can delay treatment for a full year. We would like to help you in making the best choice. Please call the office now for your FREE orthodontic exam appointment. At this appointment Dr. Sanjideh (our incredible orthodontist) will do a complete exam and let you know if treatment is recommended. Also, Veronica or Zulma (our wonderful treatment coordinators) will go over your expenses to help you prepare your finances and insurance choices. Flex Spending Accounts or Cafeteria Plans. Send us your favorite quotes by email Info@FUNtasticDental.com or post them on our facebook wall @ FUNtasticDental! Halloween is around the corner! After your child goes trick-or-treating and enjoys some of the candy you collected, we invite you to give the rest of the candy to a good cause. Your local Pediatric dentist, Dr. Bob Stella wants to buy back your Halloween candy! 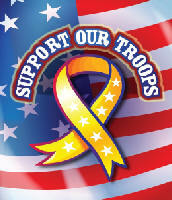 All candy will be donated to Operation Gratitude, who sends care packages to U.S. troops overseas. 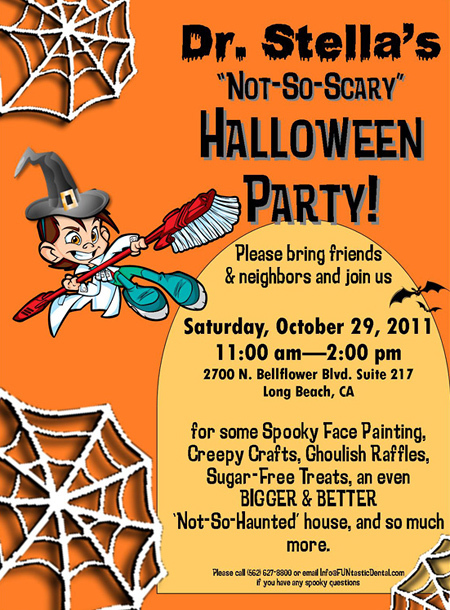 Just bring your candy into our dental office on Thursday. November 3, between 2-6 PM and get $1 per pound. You will also get free goody bag. Between Spring & Willow right off the 405 Fwy. Teach your child to share their candy with those who couldn’t go trick-or-treating this year. For more information, call (562) 627-8800. We hope you’ll take advantage of this opportunity to give your Halloween candy to a good cause.